Bowerbird Collections is the culmination of Peta and Ellie’s creativity in art and design alongside their collaborations with other local creators. 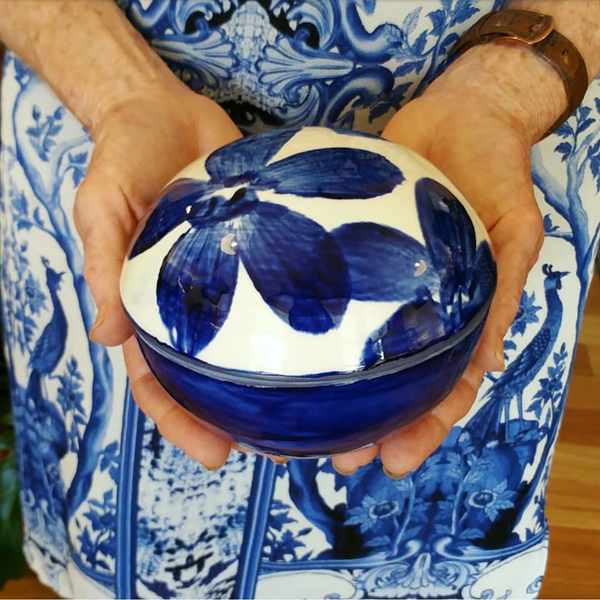 Each piece, whether it is a lamp, a vase, an oil painting or a dress, is handcrafted to bring light and joy to those who buy them. It’s about quality not quantity. It’s about finding beauty in everyday life. And it’s about recognizing the talent of those around us, and in our local community. At Bowerbird Collections we believe in supporting local creators and Australian industry and therefore aim to, wherever possible, have our pieces made here and made well. Our exclusive ceramic lamps are the result of 20+ years of design and development by Co Director Peta Sweatman. Each handmade lamp is available in any one of our gorgeous glaze colours. These functional works of art can be made especially for you alongside our custom lampshades. 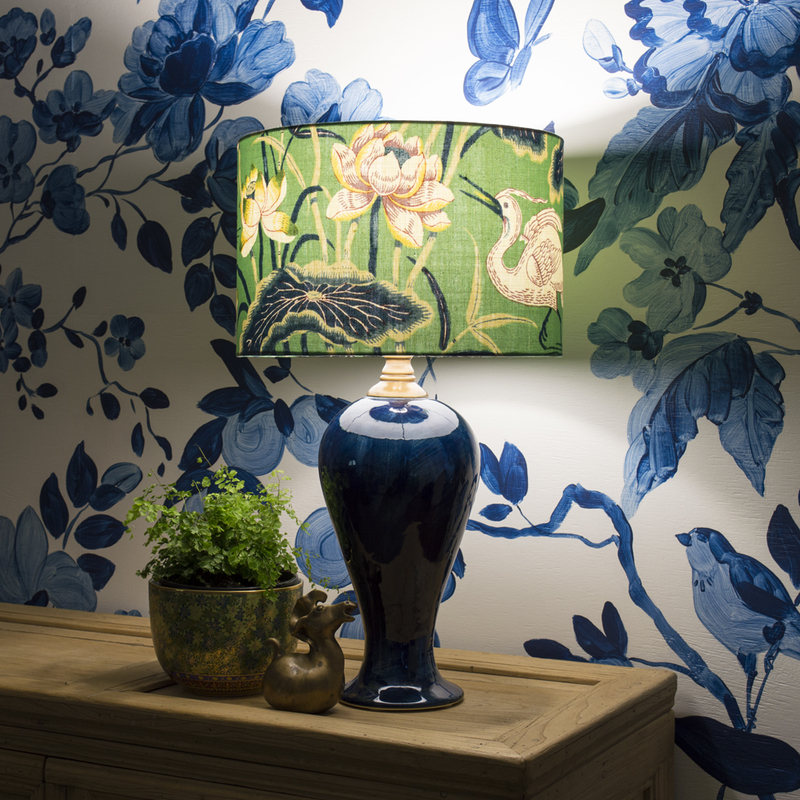 Our custom lampshades are handmade in store to any size and specification. Simply choose from our extensive range of designer fabrics or supply the fabric yourself. 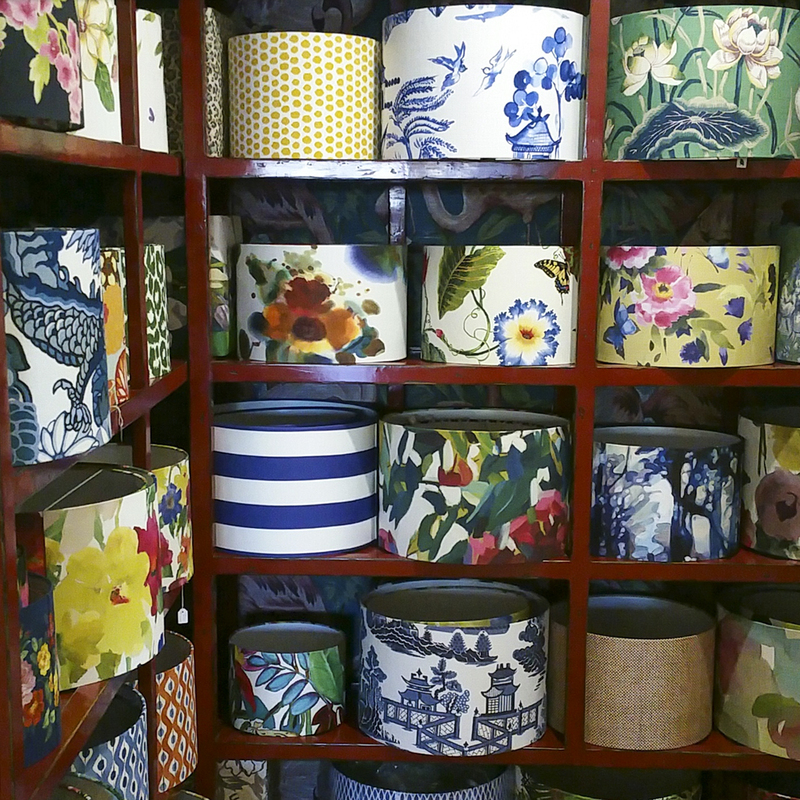 Visit us in store to browse our wide range of stock lampshades or contact us to order the perfect lampshade for you. We appreciate the impact artwork has on our wellbeing and the importance of colour, texture and beauty in our interiors. Vibrant colour and bold, expressive brushstrokes are characteristic of works by resident artist and Co Director Ellie Sweatman. 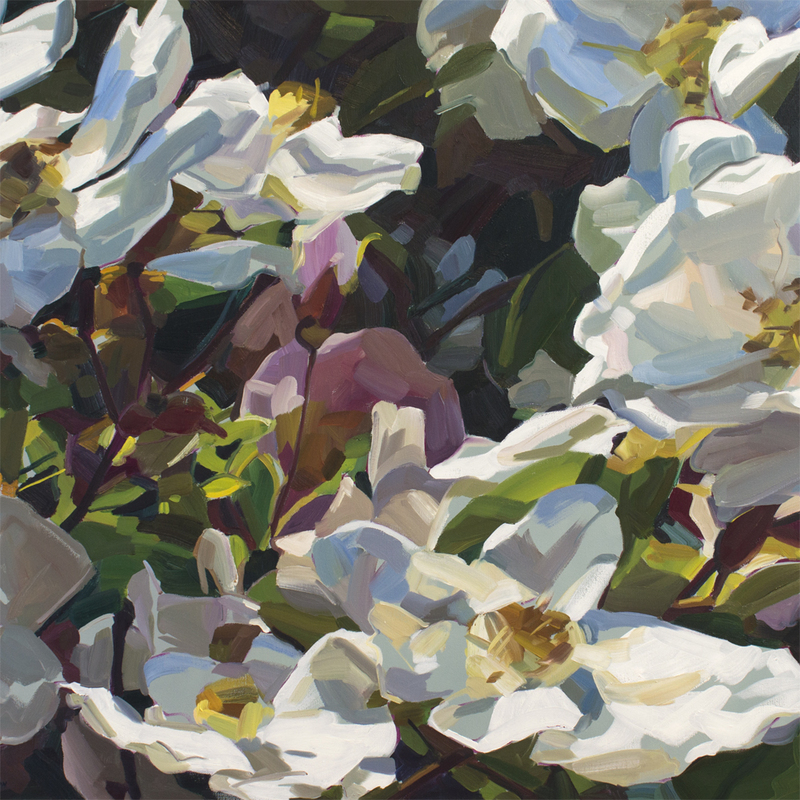 Browse Ellie’s available oil paintings and a selection of her portrait, landscape and still life portfolio. Our gorgeous range of homewares and accessories embodies our love of colour, individuality and all things beautiful. Browse our collection of handcrafted ceramics, custom cushions an bespoke furnishings. We also carry beautiful pieces by other local artisans such as Alexandra Matthews. Check out our Facebook and Instagram page to see what’s new and what we’re loving. Our decorator fabric collection features bold contemporary florals, vivid colours and an unmistakably painterly approach. 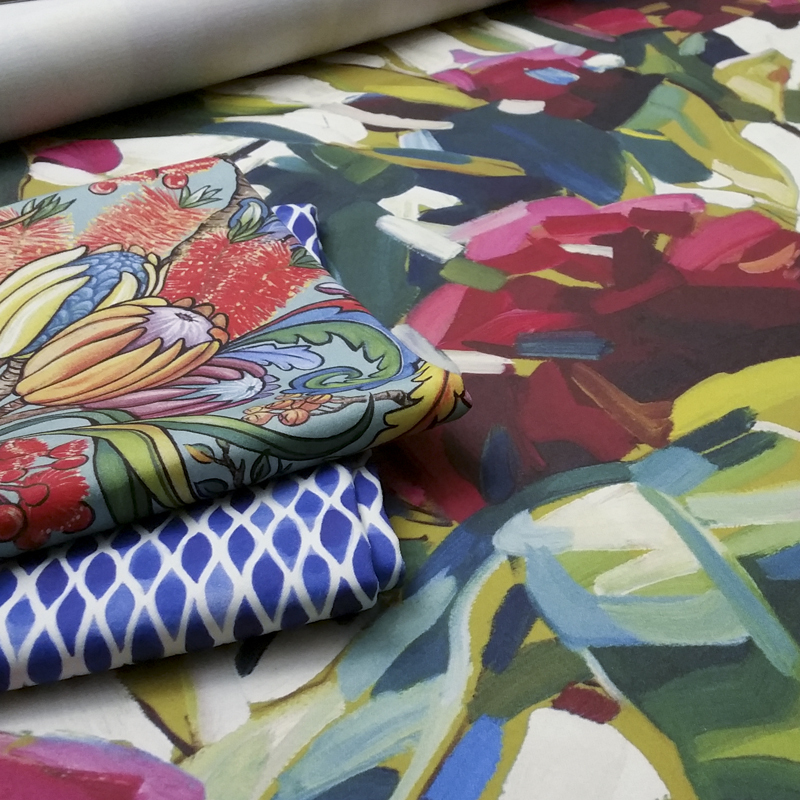 The collection is printed in Melbourne on lustrous cotton sateen which is perfect for drapery, accessories and light upholstery. We’ve launched our own fashion label! Every piece is sewn in Brisbane with all natural fibres and features our exclusive textile designs. The collection is a fun mix of art, design and comfort. We value quality, design and transparency so you can be sure that you get what you pay for. Check out our online store!